This is 9mm Ruag Precision 115gr. Full Metal Jacket Ammo. Ruag Precision Ammo cartridges are manufactured to meet shooters constant demand of quality. These cartridges have excellent shooting, accuracy, good penetration and reliability, which make them a good choice for personal defense or law enforcement carry. 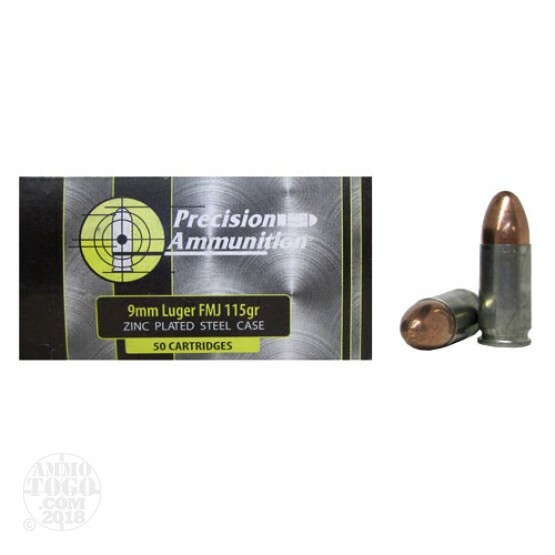 This ammo has a zinc plated steel case and comes packed in 50rd. boxes.